Narrowing profit margins continue to take a bite out of Apple. The company on Monday reported quarterly sales and profit that handily beat Wall Street estimates, but the stock fell as investors focused on crunched earnings. The problem: Consumers are increasingly interested in a mix of older and less-expensive Apple products, and that weighs on profits. Apple's gross profit margin fell to 37% in its fiscal fourth quarter, down from 40% in the same period last year. Margins have fallen on an annual basis for seven straight quarters. For the current quarter, Apple said it expects a gross margin of between 36.5% and 37.5% -- well below the median estimate of 38.6% that analysts surveyed by Thomson Reuters had expected. Investors have continued to focus on that issue, and they sent Apple (AAPL) shares down as much as 4% in after-hours trading Monday. Shares recovered to trade close to flat by the end of the company's post-earnings conference call. While on that call, analysts also hammered on the profit-margin issue. Apple CFO Peter Oppenheimer said the company is "happy" to expect flat margins on a quarterly basis, given the slate of new products that are more costly to produce. 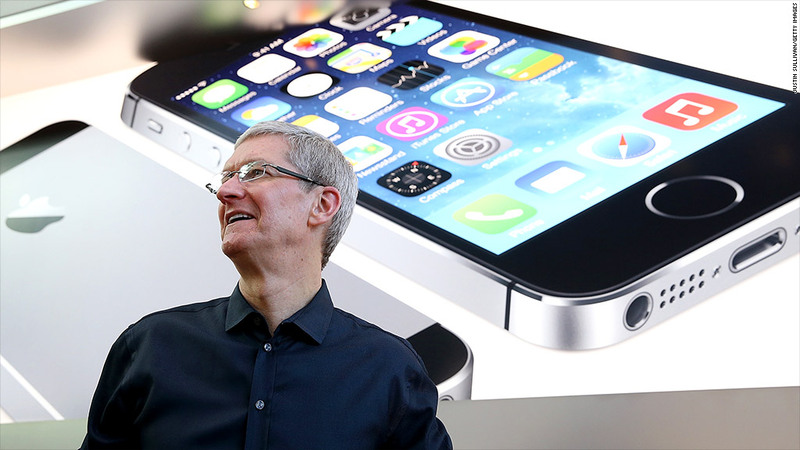 Also on the call, Apple CEO Tim Cook insisted that "Apple's business is stronger than ever." Overall, the company netted $7.5 billion in profit last quarter. That easily beat Wall Street estimates, but it was still down from the $8.2 billion it booked a year ago. It's the third consecutive quarter in which Apple's profit fell from a year earlier. Product sales: Apple sold 33.8 million iPhones in its fiscal fourth quarter, which ended September 30. Those sales represented a 26% increase over last year, and they were slightly above the 33.4 million Wall Street was expecting. Apple unveiled the iPhone 5S and plastic iPhone 5C late in the quarter, on September 20. At that time, Apple announced it sold a record 9 million devices during their first weekend on sale -- boosted by the fact that China was included in the initial launch, and that two new devices went on sale instead of one. Reports have been rampant about Apple supposedly scaling back iPhone 5C production, due to lackluster demand for the cheaper device -- which costs more overseas than analysts had expected. Cook said on the earnings call that it was "never [Apple's] intent" to market the 5C as a low-end device -- in fact, he called it "mid-tier." 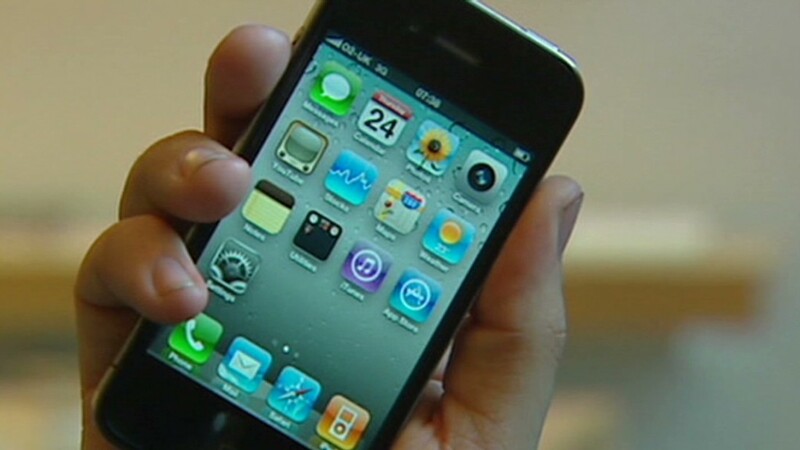 Instead, Apple now sees the two-year-old iPhone 4S as its entry-level device. On the tablet side, Apple announced the new iPad Air and iPad mini earlier this month, so they didn't affect last quarter's results. Apple sold 14.1 million iPads during the quarter, just slightly higher than the 14 million sold in the same quarter last year. Apple sold 4.5 million Macs during the quarter, down 7% from a year ago. IPod sales continued to fall rapidly, down 35% over the year to 3.4 million. Overall, Apple's fourth-quarter sales came in at $37.5 billion, topping analysts' forecasts of $37 billion. For the current quarter, Apple expects revenue to come in between $55 billion and $58 billion, slightly higher than analysts' forecasts.